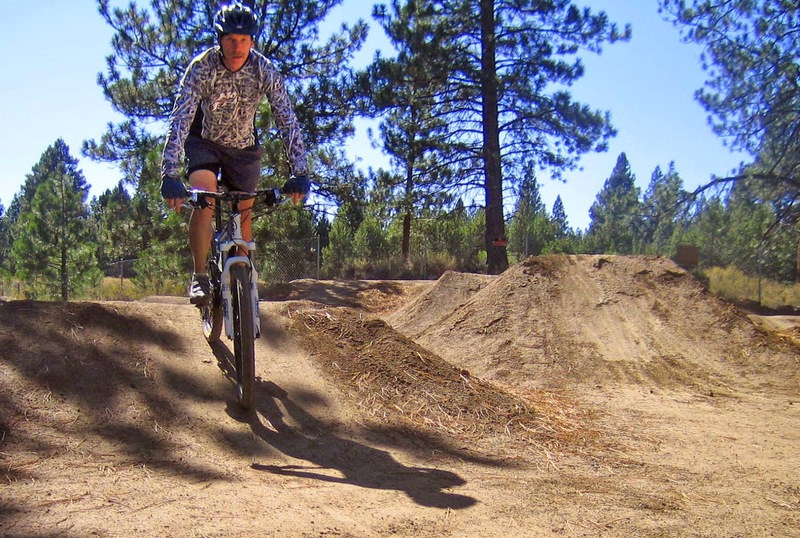 On March 3, 2015, the South Lake Tahoe City Council approved entering a partnership with the volunteer Bijou Bike Park Association to Build and operate the Bijou Bike Park as a City facility. 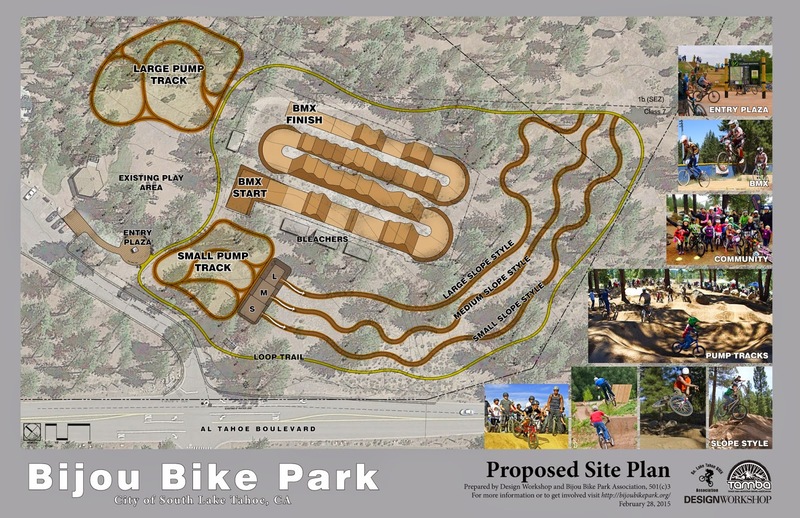 The Bijou Bike Park has a nearly finished site design proposal that will be submitted for final City approval. A community meeting will be held April 2nd for public input before submitting the site proposal to the City of South Lake Tahoe. Click to enlarge site plan. The proposed site plan is approximately 4 acres and located on City of South Lake Tahoe land, within the Bijou Community Park Boundary. The Bijou Bike Park Corporation (BBPC) is a 501c3 non-profit organization. Meeting: April 2, 2015 in the multi-purpose room at Bijou Elementary School, 3501 Spruce Avenue in South Lake Tahoe. 5:30pm.